The topic of remote work has become a source of hot debate lately, with some companies singing its praises while others that had once been telecommute proponents, like Yahoo!, banning the practice completely. Workers at AT&T work 5 more hours a week at home than their office-bound counterparts. Sun Microsystems found that employees spend two-thirds of the time they save by not commuting doing work for the company. JD Edwards and American Express telecommuters are 25% and 43% more productive than their office-based counterparts. Telecommuters at Compaq, Best Buy, British Telecom, and Dow Chemical have all shown to be as much as 45% more productive. That's not to say that Yahoo! was doing it wrong, or that productivity was the issue—certainly the organizational transformation Marissa Mayer sought required a sea change in business practices. But, for the vast majority of companies, the advantages to remote work are numerous. Not only does it improve work/life balance for employees and boost productivity (and revenue) for the company, but it also enables firms to recruit talent outside their geographic region. The opportunity to work from home or in a satellite or shared office, on either a permanent or occasional basis, can help companies hire the best in the business, without the issues of relocation, uprooting families or subjecting employees to morale-sapping long commutes. And, further evidence suggests employees crave the flexibility and freedom of remote work. In fact, 37% of technology professionals say they would take a 10% pay cut to work from home, while 46% of companies say telework has reduced attrition. Teleworkers also take fewer sick days and return to work sooner after an illness, all of which contribute positively to the company's bottom line. 1. Determine if it's a good fit for the work. Some jobs and tasks are better suited for remote work than others. For example, graphic design, copywriting and editing, call center or help desk operations, accounting functions and (of course) sales, are ideal for remote work because most require only a computer, Internet and telephone access, which is easy enough to arrange. The sales team should be mostly out in the field anyway. Other positions are not a good fit, particularly jobs such as product development, assembly and roles that require access to specialized equipment or materials or brainstorming and collaboration with team members. 2. Determine if it's a good fit for your people. Not everyone has the discipline and intrinsic motivation to buckle down and get work done without direct supervision and the accountability of showing up at the office every day. Work from home arrangements make it tempting to sleep in, slack off and "shirk" at home for some who just aren't cut out for the situation. You can probably already tell which of your existing employees can make work from home work, but when it comes to new hires, it may be a bit trickier. Here's where references can be a great resource. If a new applicant has worked remotely before, call on those references to see how well he or she performed and met the job obligations in the flexible environment. 3. Provide online document and file sharing. OK, this is a no-brainer: employees must have access to the files and materials they need to get work done. However, many companies rely on email to send and share documents, which creates numerous problems. Documents get lost. Senders forget to attach. No one knows which version is the latest. And, because emailed docs exist only in the accounts of the sender and receiver, anyone else who needs access must rely on one of them to forward files. But they can't do that if they're on vacation for the next two weeks, bringing progress to a halt. Using a social intranet document management system to upload and share documents makes it easy for anyone on the team to access every document and file they need at anytime from anywhere. Team members can see who also has access and who's made edits, and they even rank and rate docs to keep important files at the top of the list. Without face time in the office, remote employees may find it difficult to collaborate, discuss ideas and brainstorm. A social intranet can help here, too. By providing a central platform where conversations about work can happen transparently, with automatic archiving and a continuous feedback loop, social intranets like Communifire can make it easy for team members to discuss issues, post comments and questions, and update the status on their projects in real time, without ever having to waste a single minute in a boring status meeting. With a social intranet, it's also easy for management to see who's contributing and engaged, and who might be sitting on the couch binge-watching "The Walking Dead" instead of working. So, now that you've moved all of your documents, files and collaboration onto the social intranet, it's important to keep it well-organized. 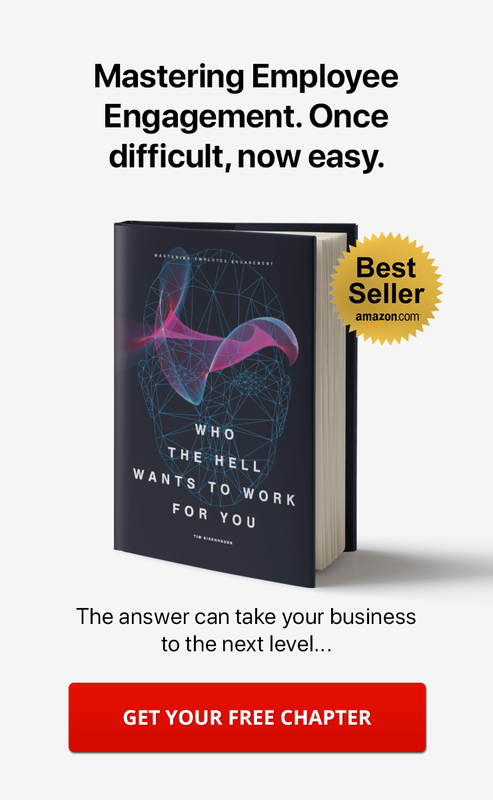 The last thing you want is for it to become the corporate scrapyard where employees are forced to sift through tons of junk, searching for the few nuggets of information they need. Delete outdated information and old documents. Organize employees into groups for departments, projects and other subsets that make sense. This way, when information is shared, no one is accidentally left off the email, the team can find what they need easily, and their newsfeed isn't cluttered with a bunch of irrelevant stuff. Also, an effective search function is a must to help everyone (not just remote workers) get to the data they need quickly and easily. One of the toughest parts of managing remote workers is trying to get everyone together for a meeting, face-to-face or even just a conference call. Emails fly back and forth to gauge availability, and if it's a large group, juggling the conflicts to find a time that works can be a major chore. With the transparency of shared calendars, like those in Communifire, it's easy to plan meetings and events. Everyone on the team can see who's available and when, schedule meetings with ease and know that everyone will be notified. You can even provide details, like a formal agenda, documents to review beforehand and other information. This way no one misses the meeting, and no one arrives unprepared. 7. Consolidate workflows and procedures. Chances are, you're probably using more than a handful of applications to perform various tasks: email, blogs/wikis, accounting, content development, time tracking, document sharing, etc. For remote employees, that's an awful lot of software to have to purchase, install and maintain on their machines, which is made even more difficult by the fact that IT help isn't always just down the hallway if a problem arises. Not to mention, all the switching back and forth is time consuming and annoying. Consolidating those processes onto a central intranet platform like Communifire streamlines those tasks, reduces software and IT maintenance costs and saves time, allowing your remote employees to devote more energy toward being productive and less time logging into and using 10 different apps to get the job done. 8. Provide a home office stipend. The work from home vision many people have is of a pajama-clad employee camped out on the couch with a laptop while the TV drones in the background. In reality, that's neither sustainable, nor ergonomic. While we all need a change of scenery occasionally, even remote workers need an environment in which they can concentrate, be productive and be in a professional mode. While constructing a separate home office obviously isn't feasible in most cases, your company can provide a home office stipend to ensure remote employees have the tools they need to be productive at a much lower cost than providing a space, furniture, etc. at the office. Perhaps a few hundred dollars for a real desk, or a stipend to cover the cost of Internet and telephone service. This way, you'll be sure they have what they need without paying out of their own pocket to work for you. 9. Use virtual meeting tools. We've covered lots of ways to keep remote employees plugged-in to the work that's going on at the office without having to physically be at the office. But we can't forget the human element—lack of "face time" can make remote workers feel left out, isolated, and alienated from the rest of the staff. Some companies require remote employees to come into the office once a week, a couple of times a month or on some other interval that keeps them engaged with the in-office staff. When that's not possible, use virtual meeting tools like a video chat to stay connected. Actually seeing one another has a surprising impact on how well team members connect and bond on a personal level, which translates directly into better collaboration on a professional level. 10. Track performance, not presence. It can be tempting to expect remote staff to work the same hours as their office-bound counterparts. And, while this does make sense in some instances (to attend meetings, for example), it may not always have to be the case. Especially when spanning time zones, you may need to give remote workers some flexibility. As long as they're getting the work done, projects are progressing at a satisfactory pace and nothing's getting held up, does it matter if they start work at 4 a.m. and finish up by noon? Or pull a late-night session, if that's when they're most productive? One of the best parts of remote work is that it allows your team to work when they're at the top of their game for peak performance. 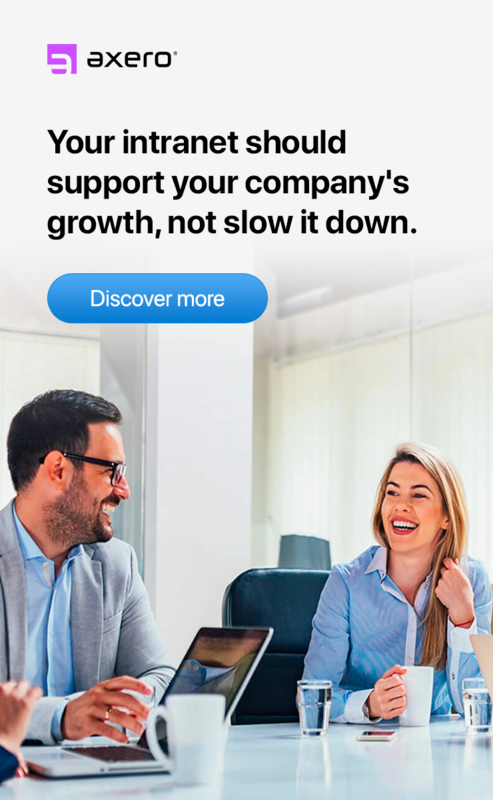 Your company can take advantage of that, getting the best out of every employee, by giving them some flexibility and measuring performance, not presence. 11. Set formal goals (short- and long-term). Getting work done goes beyond just completing tasks and checking them off the list. It's critical to have some defining purpose, to establish and communicate exactly what it is you're all working toward. This is especially important when managing remote employees who don't have the luxury of office chitchat to stay up-to-date on the nuances of company news and goals. For all employees, remote or in-office, setting formal goals and periodically reviewing progress toward them provides a powerful motivating force in not only getting their individual work done, but also in achieving overall company objectives. 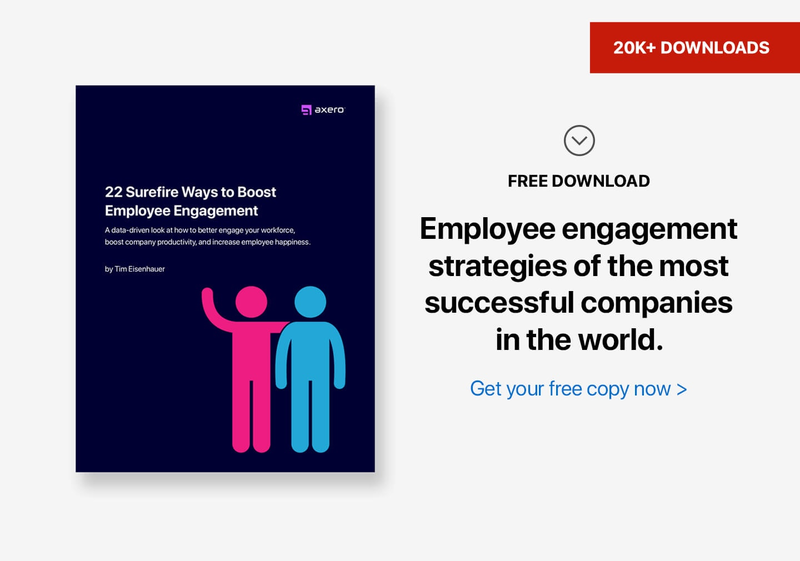 Employees want to feel like they're contributing to the greater cause. Formalizing goals provides that engagement and a strong measurement tool to ensure remote workers are performing as expected. 12. Gamify and recognize goal achievement. Creating a little friendly competition surrounding those goals adds a motivating factor that's irresistible for some. Recognizing achievement, rewarding performance and acknowledging great work—either with tangible benefits like bonuses, gifts or extra days off, or simply through peer recognition—is a great way to keep remote workers engaged in company success. Again, since remote staff don't have the benefit of watercooler conversations where a co-worker might say, "Hey, I heard you landed that big contract–nice work," or "I saw that brochure you designed. That thing is a work of art," use technology instead. Social intranets like Communifire make it easy for management and peers to offer digital pats on the back by posting comments, congratulations and feedback for their team members in full view of everyone. These can even be tied into goal setting to gamify achievements—employees who earn a set number of kudos might win a prize, for example. There's no doubt that managing remote workers can be a bit more challenging than those you see face-to-face every day. And shifting to a remote work environment can be difficult, especially for companies that are accustomed to the idea of presence being a job requirement. Fortunately, there is a plethora of tools available to not only ease the transition but also help productivity soar in the process. 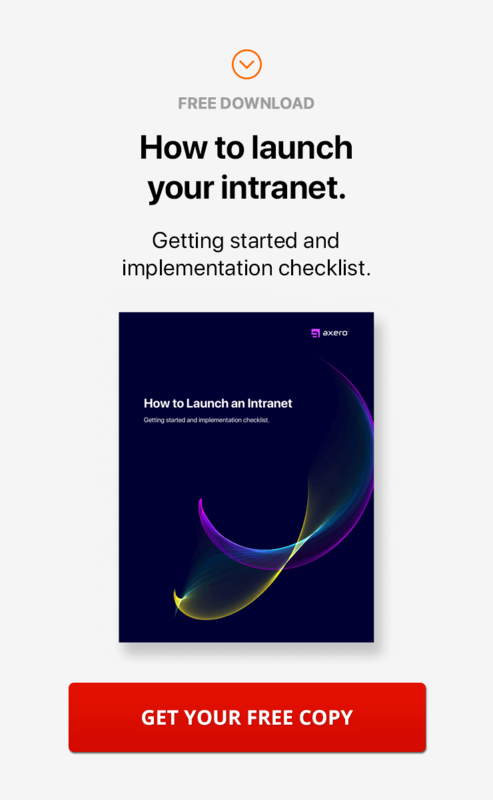 Adopting a social intranet like Communifire can keep remote workers engaged, informed and performing at their peak, which translates directly into a positive bottom line impact for the company.